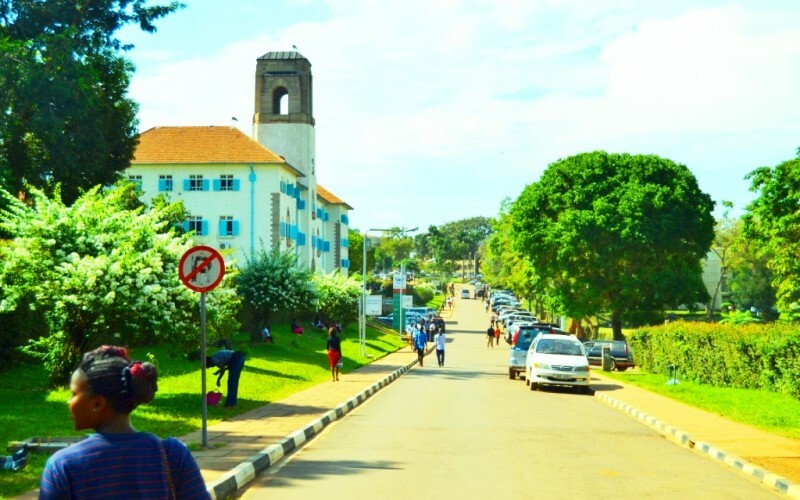 KAMPALA – On Monday morning, Makerere University staff under their different associations had gathered at the campus main hall to discuss, among others, their future amid the ongoing strike at the university over the suspension of their leaders. However, unknown to them, one of their colleagues, Amos Dembe, had sneaked into the meeting hall with a pistol. One of the staff then walked to the front and alerted the academic staff association vice chairperson, Mr Edward Mwavu, about the matter. This disrupted the meeting momentarily. “Officer, one of our staff has a gun and I am requesting you to disarm him immediately or you take him out of our meeting,” said Mr Mwavu as he directed the police officers around to disarm Mr Dembe, an internal auditor at the Institute of Public Health, Mulago. Mr Mwavu vowed not to proceed with the meeting until the armed lecturer left. Mr Dembe, without much resistance, left the meeting, escorted by the Officer in Charge at Makerere University Police Station, Mr Nickson Okello. He later dropped his gun in one of the offices in the Main building and returned to the meeting. “He is a security operative only that some people are in uniform while others are in plain clothes, but all I can assure you is that his gun is lawful,” Mr Okello told journalists outside the Main Hall. After that, the meeting went on.